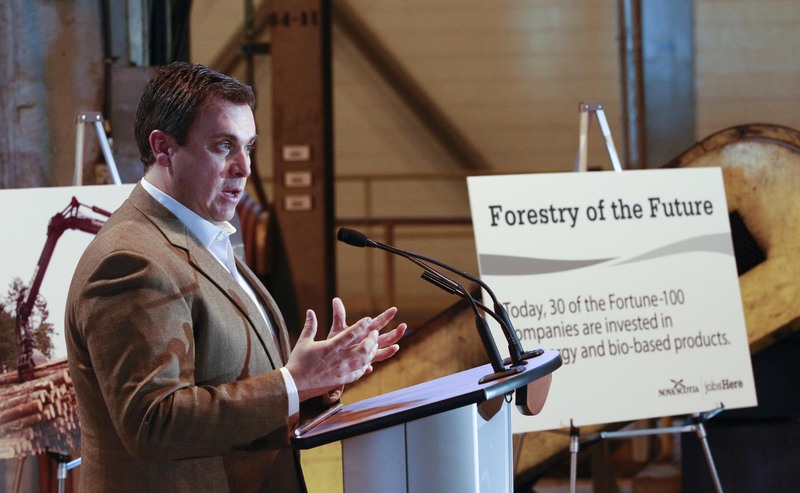 Thousands of people working in Nova Scotia's forestry industry will benefit from a new centre for cleaner energy, bioenergy and forestry innovation that will help the province's forestry industry thrive in the future. 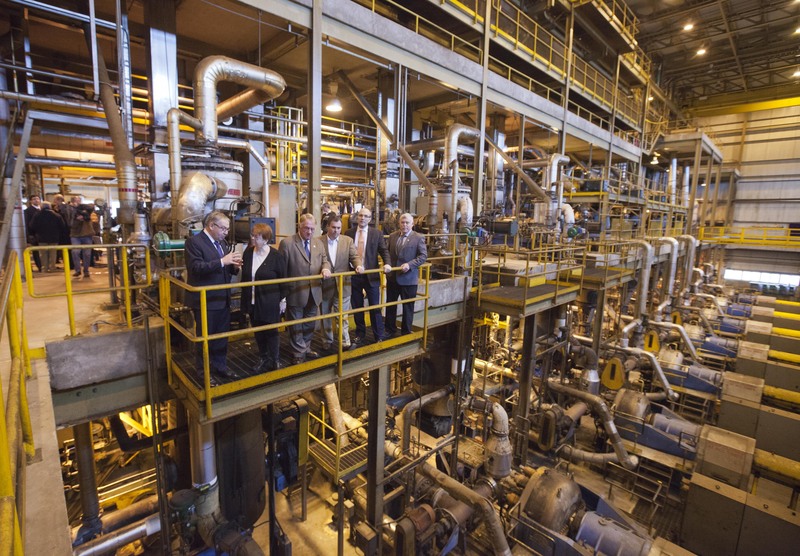 Premier Darrell Dexter announced in Brooklyn, Queens Co., the province will partner with Innovacorp, Emera and CelluFuel to transform the former Bowater Mersey mill into a centre that will drive new opportunities through innovation. The centre will offer companies a research, development and demonstration site, and provide support for businesses of all sizes to make the most of the province's forestry resources. Establishing this centre is in keeping with the province's natural resources strategy, The Path We Share, jobsHere, and recommendations from the Bowater Transition Advisory Team. Innovacorp will provide advice and planning support, and use up to $500,000 in provincial funding to cover start-up costs such as developing a business plan, establishing key partnerships for research and technology development, and identifying partnership opportunities for public and private funding. 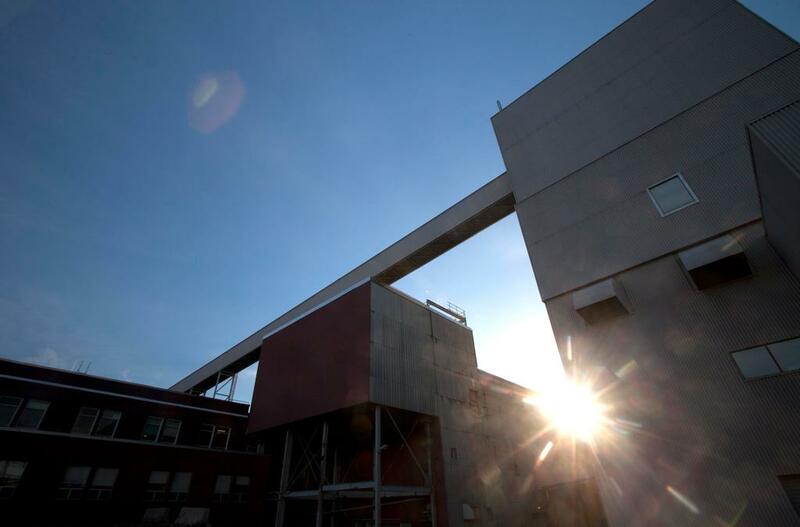 Nova Scotia Lands, a Crown corporation, will oversee the industrial site. 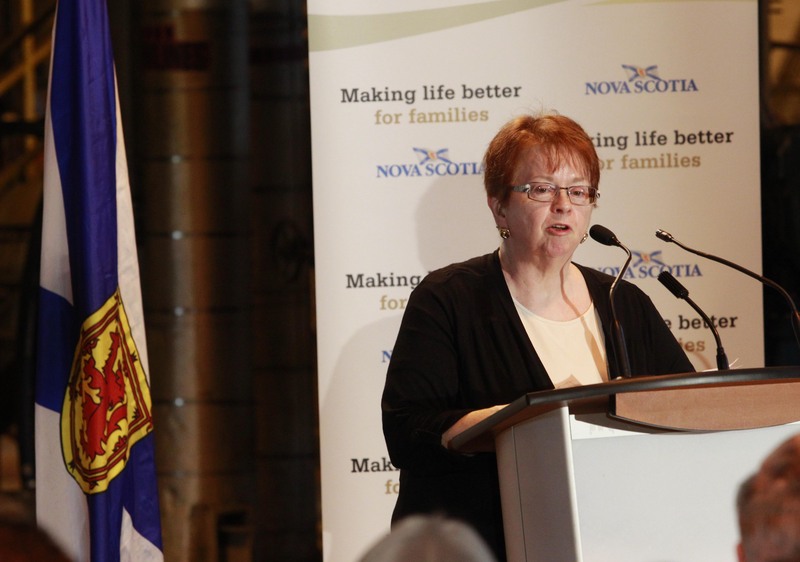 Emera has signed on as the centre's first tenant, with a commitment to invest at least $1 million over the next five years. This follows an announcement earlier this week that Emera will purchase Brooklyn Power from the province. CelluFuel, a Nova Scotia company focused on commercializing renewable fuels in Eastern Canada and the United States, will also use the centre. 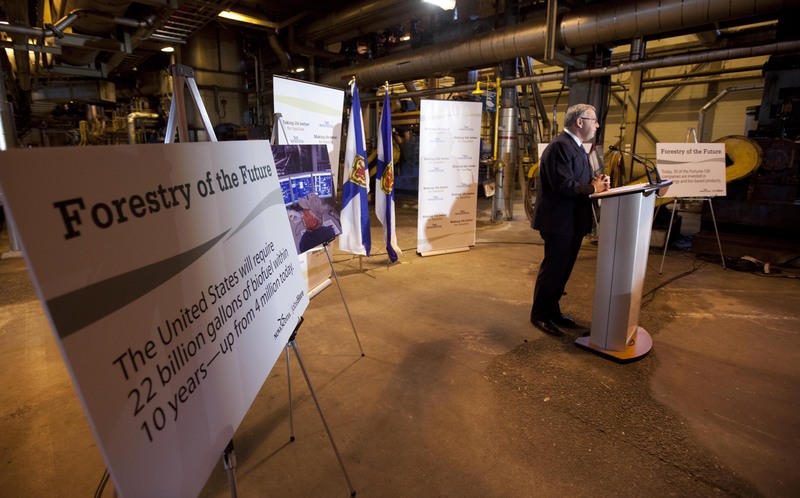 The province is adding to a $500,000 private-sector investment in CelluFuel with $500,000 to help the company deploy technology to turn Nova Scotia woody biomass into renewable diesel fuel. The clean and renewable energy sector is growing rapidly. The United States will need 22 billion gallons of biofuels in 10 years, up from four million today, and 30 of the Fortune 100 companies invest in bioenergy and bio-based products. Region of Queens Municipality Mayor Christopher Clarke welcomed the news, noting the centre's potential to support innovation locally and beyond. Work to set up the new centre will begin immediately. The province recently purchased the thermo-mechanical pulp mill as part of its agreement with Resolute Forest Products and the Washington Post Company. The former Bowater Mersey mill will be turned into a centre that will drive new opportunities through innovation. Premier Darrell Dexter talks about the details of the innovative new forestry centre in Brooklyn, Queen's Co.
Premier Darrell Dexter and other dignitaries look at some machinery in the former papermill that is now owned by the province. 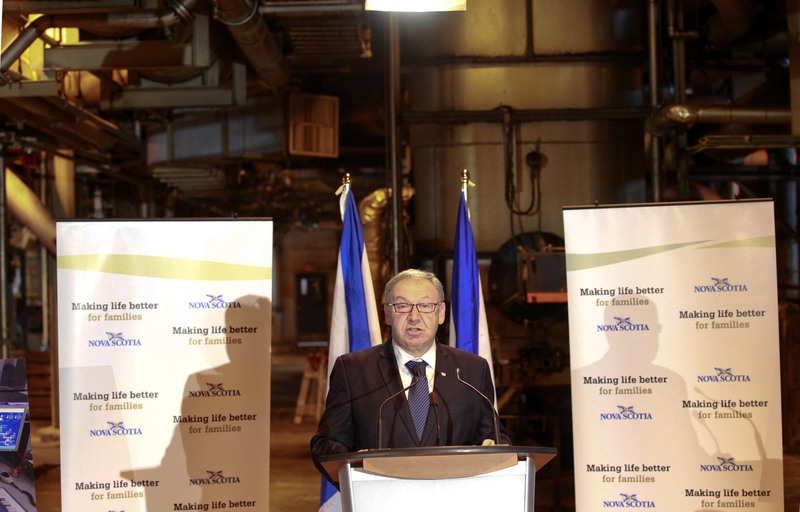 Premier Darrel Dexter announcing the province will partner with Innovacorp, Emera and CelluFuel to transform the former Bowater Mersey mill into a centre that will drive new opportunities through innovation. Innovacorp interim CEO Jacquelyn Thayer Scott says Innovacorp will provide advice and planning support and help develop a business plan for the centre. Chris Hooper is president of CelluFuel, a Nova Scotia company focused on commercializing renewable fuels in Eastern Canada and the United States, along with Emira, is among the centre's first tenants. Premier Darrell Dexter says the centre will drive new opportunities through innovation. Premier Dexter says it is a great day for economic development in the province. Natural Resources Minister Charlie Parker says the centre will help tap into significant forestry potential. Innovacorp interim CEO Jacquelyn Thayer Scott says new innovations will bring new opportunities. CelluFuel president Chris Hooper says the centre has tremendous potential. Region of Queens Municipality Mayor Christopher Clarke says the centre is a farsighted and courageous move, and one we support.